Many people today live in multicultural societies alongside people of other religions. Simple contacts or more personal friendships can cause questions to arise: How can we begin a dialogue? How can we live for Christ amidst those with different allegiances? How far can we go in sharing basic questions with other believers? 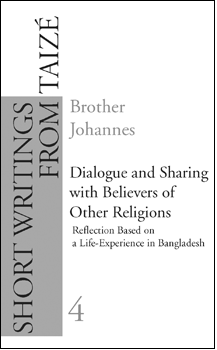 To reflect more deeply on these topics, this article starts from the experience of the Taizé brothers who have been present for over thirty years in Bangladesh, a country with a large Muslim majority.